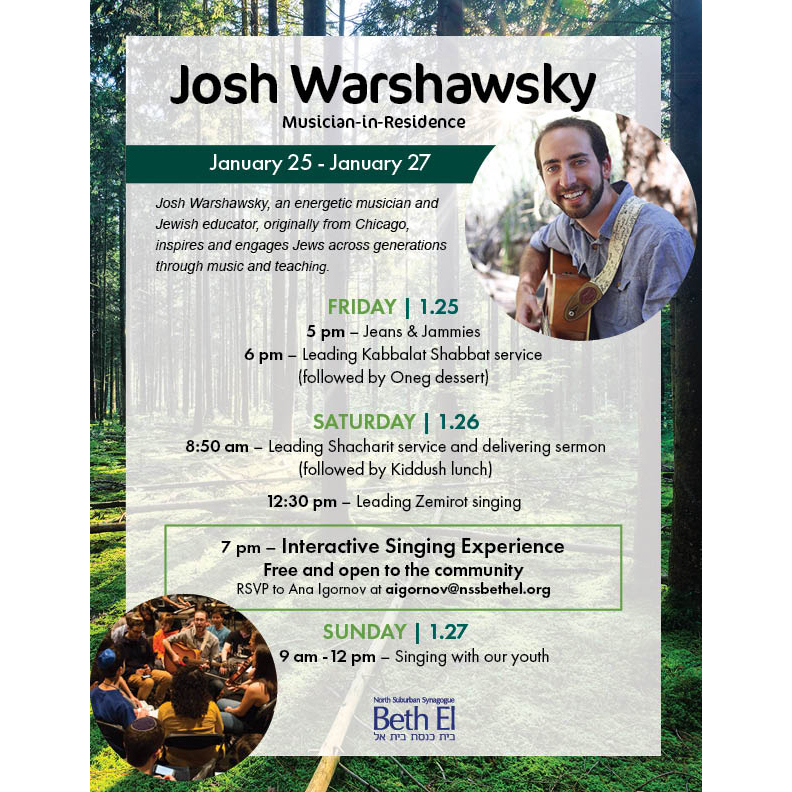 Josh Warshawsky, an energetic musician and Jewish educator, inspires and engages Jews across generations through music and teaching. Originally from Chicago, this soon-to-be-rabbi is a product of Schechter, Rochelle Zell, Ramah, and CHUSY. 8:50 AM – Leading Shacharit and Torah service. Delivering Dvar Torah about Tefillah, Community, and Spirituality. (followed by Kiddush lunch). 12:30 PM– Leading post-Kiddush Zemirot singing. 5:00 PM – Singing with Kitah Dalet before class Havdalah ceremony. 7:00 PM – Melave Malka: Interactive Singing Experience. Free and open to the community. 9:00 AM -12:00 PM – Singing with students from Cohen Religious School, Sokol Hebrew High School, and USY.